Denim is perfect for any occasion and this skirt is everything we are loving. Featuring a light wash denim material with a button up front and a western style. 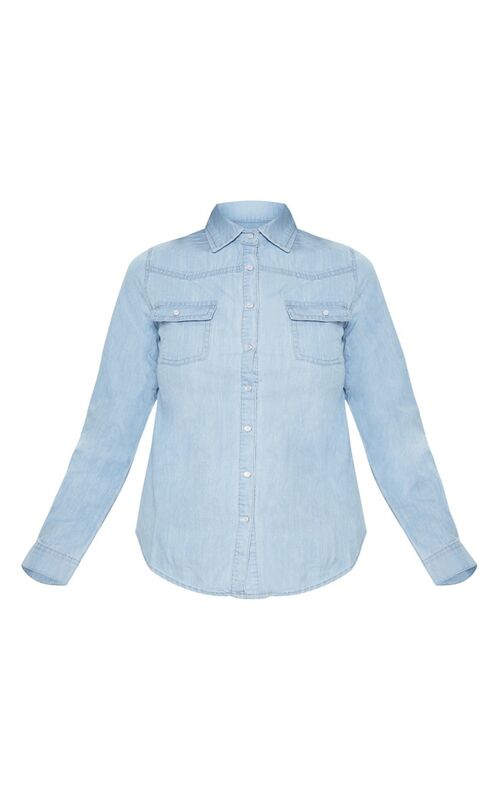 Team up double denim and syle this shirt with denim shorts and some totally sassy heels for an ultimate day drinks look.